Looking for some footwear inspiration? 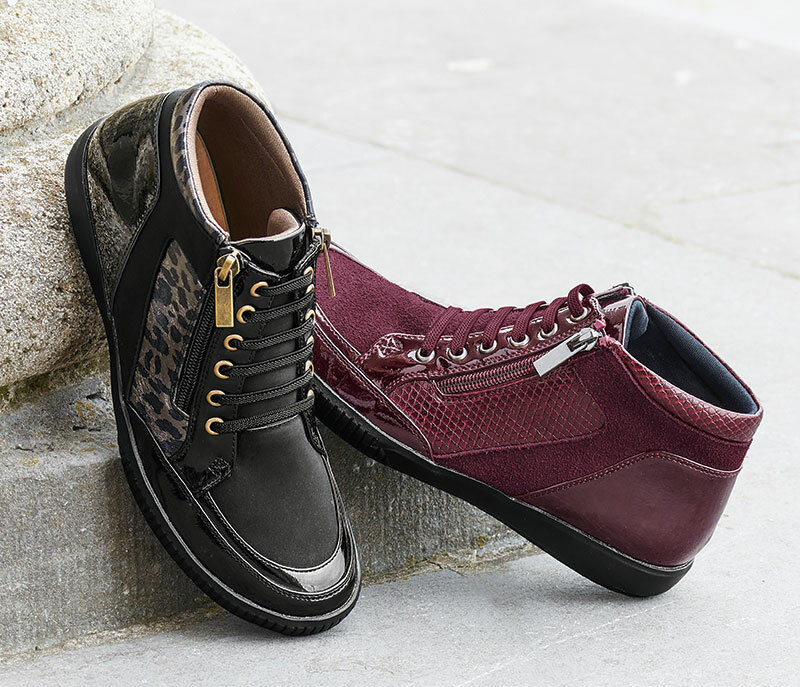 This autumn, look to our footwear hot list to walk you through the season in style. Smart and chic for those special occasions, these leopard print court shoes add a wild twist to a classic design in four great autumnal shades. Not only do these boots look great, they have cleverly designed Amortyl soles to absorb vibrations so you can benefit from less strain on your joints! That’s a 30% shock reduction for your hips and knees. With a zip down each side and elasticated laces, they’re easy to slip on and off too. Style 3 – The £19 Court! It’s hard to talk about these courts without mentioning their incredible price! Comfort, quality and style for £19 is hard to beat. 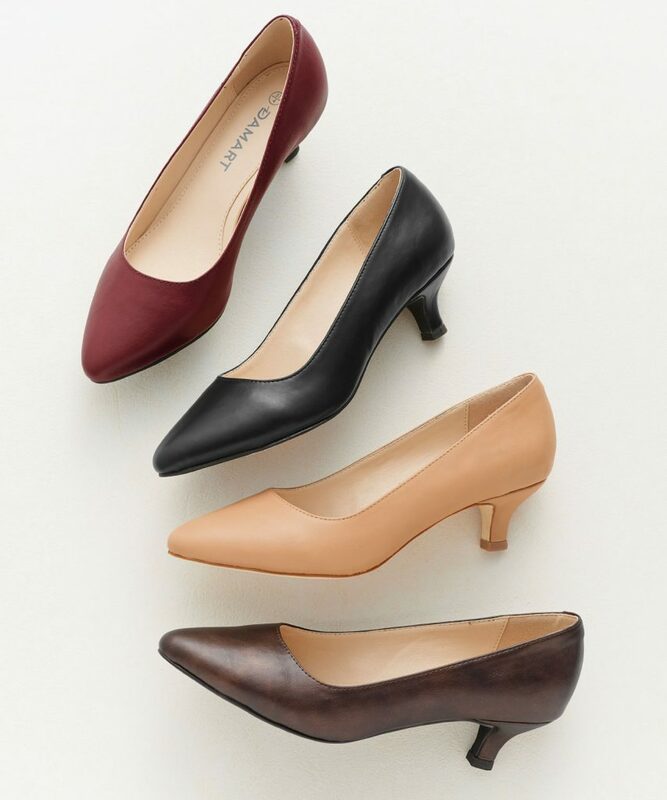 In a choice of four colours, this is the perfect court shoe to take you from day to evening . Looking for leather? This leather Coussin D’Air style is soft to the touch and available in four great colours. It even has an adjustable strap and removable insoles so you can create your perfect fit. Great for a relaxed look. You know what it’s like when you find your perfect shoe, only to wish you could get it in more colours? Well with this moccasin you’re in luck! 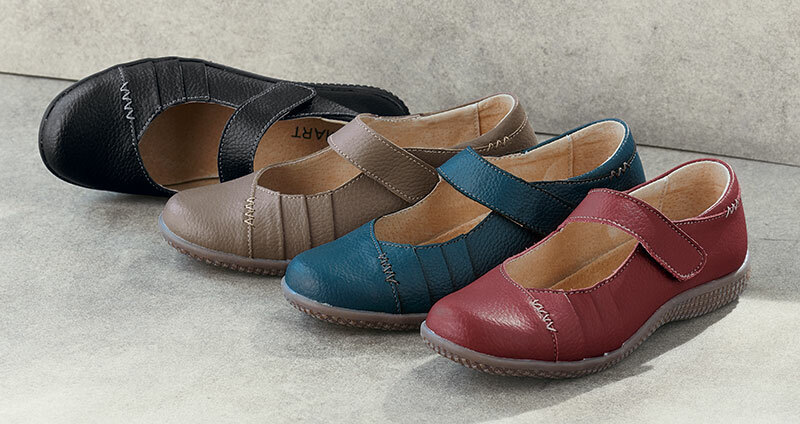 This is our best-selling style, and each season, the new colours make this everyday flat shoe a must-have wardrobe staple. For autumn, why not try the lovely new Burgundy? What is the price of the tan coloured flat shoes you advertise under the heading The Perfect Pair? The shoes on the Perfect Pair banner, from our website, are our moccasin’s with the contrast finish, product code P645. They are available in two colours from £35 and you can find them online here. If you like them, we have a great sale on this weekend with 15% off all footwear when you use the offer code GD7-DCN at the basket. What are the price of your bounce back boots please. This is our Amortyl Zip Boot, product code P651, priced at £45 and available in two colours.